Provide Relational Database Management System administration and analysis support for a SQL Server Enterprise database for the Army enterprise architecture, including installation, integration, maintenance and Tier III support. Analyze the SQL Server database architecture and recommend and implement changes in processes, configuration, software, and hardware as needed. Configure and tune the High Availability (HA) features of MS SQL Server Enterprise edition in a clustered environment. Provide engineering support to develop and maintain engineering and related technical documentation. Provide NETCOM Tier III and BMC Vendor Tier IV Engineering and Application direct support to all deployed and operational Remedy/ITSM hub and spoke components, using NETCOM Virtual Private Network (VPN) remote capabilities to access ITSM enclaves within TSC and on-site as required. Provide NETCOM Tier III and BMC Vendor Tier IV Engineering and Application direct system problem solving and apply required mitigation to all deployed and operational Remedy/ITSM hub and spoke components. Provide technical recommendations for MS SQL system optimization, upgrade, enhancement, and integration to include database hardware/software and storage capability associated with the database. Provide performance tuning for MS SQL. Provide NETCOM Tier III and BMC Vendor Tier IV Engineering and Application direct support to all deployed and operational Remedy/ITSM hub and spoke components, using NETCOM Virtual Private Network (VPN) remote capabilities to access ITSM enclaves within TSC and on-site as required. 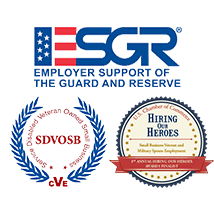 Provide NETCOM Tier III and BMC Vendor Tier IV Engineering and Application direct system problem solving and apply required mitigation to all deployed and operational Remedy/ITSM hub and spoke components. Relational Database Management administration, analysis, and tuning. SQL Server database architecture design and implementation, tuning, upgrade, optimization, enhancement, and configuration. High Availability (HA) feature configuration of MS SQL Server Enterprise edition in a clustered environment. Operational Remedy/ITSM hub and spoke components troubleshooting and repair.